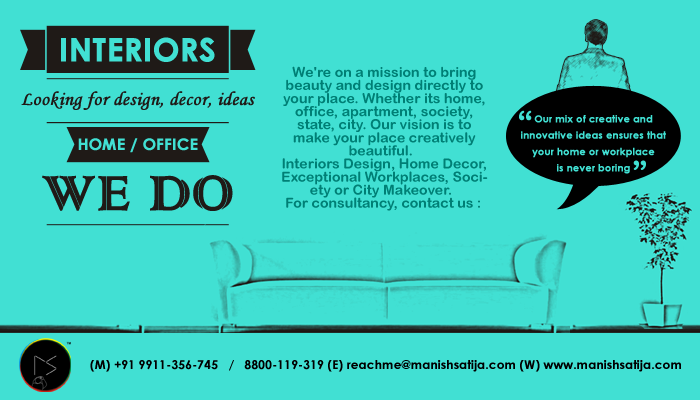 Manishsatija.com – Looking for interiors design, decor, ideas for your Home / Office – WE DO. We’re on a mission to bring beauty and design directly to your place. Whether its home, office, apartment, society, state, city. Our vision is to make your place creatively beautiful. Interiors Design, Home Decor, Exceptional Workplaces, Society or City Makeover.